It´s always so good to discover great new bands with fresh blood running through their veins .this is the case with this band from Ukraine formed in 2015 . They are young but with proven talent ,they already are known for another band they already have, The Wise Guys. 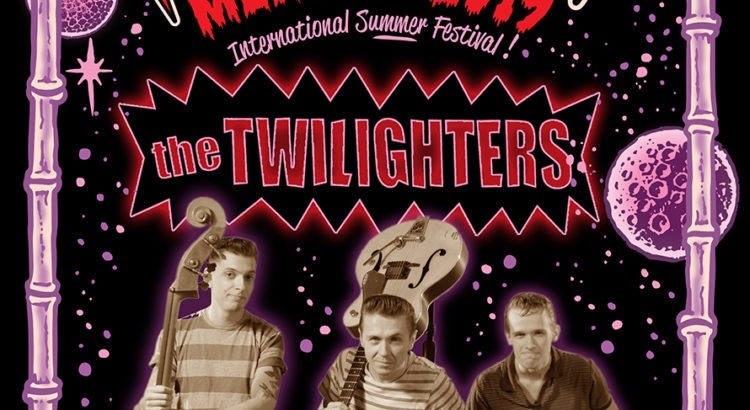 They started in a practice room remembering the first Psychobilly songs from the Wise Guys, it was fun and sounded awesome so they decided to record and include them in their set list. The starter idea was to be just a studio band and not do live performances, but they got some gigs in small clubs where the play their Neo Rockabilly and Old School Psychobilly, influenced by bands as Batmobile, Frenzy and the Quakes. An LP was released through the talented Wild Turtle Record Company recently. It’s a great album and we recommend you include this in your shopping list at the festival. 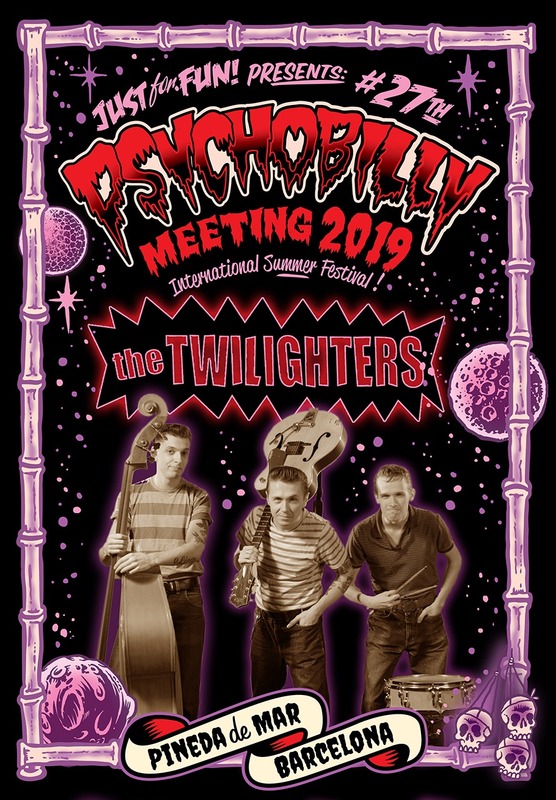 They are very busy with their side project, they rarely play live, so this is the chance to get into that traditional sound of these Ukranian trio, they will transport you to the golden years of the Old School Psychobilly ! They will be on the big stage ! Remember their name because everybody will speak about them !!! THE TWILIGHTERS !! !